Laurence Winram is a Scottish photographer based in Edinburgh. His unique style is called on by clients from as far afield as New York to Singapore. When not shooting commercially he is never to be found far from his camera with a constant stream of personal project work keeping him busy throughout the year. Finalist in The Saatchi Gallery online competition he currently has a print of The Watchers on display in the Saatchi gallery. 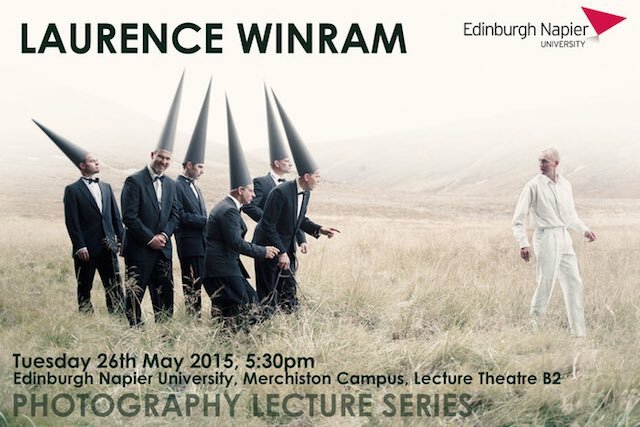 Book tickets for the Laurence Winram talk. Karen Harvey is Creative Development Director of Shutter Hub. She will give a lecture on professional development, what to do next after leaving university and advice on entering the professional photography world. She will be there to answer your questions and generally give business advise on starting out. Book tickets for the Karen Harvey talk.